The sooner you start working on your credit score prior to applying for a mortgage is better. Ideally you should start at least 6 months prior to applying for your mortgage and even better a year before gives you more time to look at where the gaps in your credit score are and develop a plan to repair those gaps that can help boost your score. If you are not already part of a credit monitoring service then now might be a good time to join one so you can actively monitor your credit reports on a regular basis. Many retailers and businesses have offered free credit monitoring services to those of their customers who have had their information stolen in hacker attacks so if you have access to free credit monitoring service then by all means sign up for it. Even if you don’t have access to a free monitoring service you can purchase credit monitoring service, use a free service like CreditKarma.com or WalletHub.com (in exchange for their using your information to sell you products and services) or use the free credit reports available at AnnualCreditReport.com. If you are going to be getting your credit report from AnnualCreditReport.com then make sure you do not pull all three agencies credit reports at the same time. Since you are only entitled to one free credit report per credit reporting agency (Transunion, Experian, and Equifax) per year it makes sense to pull reports one at a time over a period of a year. That way in case for some reason you do need access to your credit report later on you can still obtain one of the free copies from a credit reporting agency you have not used yet. Most of the credit reporting agencies have the same information on the major credit accounts that you hold. If you have major errors on your credit report and want to verify against all three reports then it may make sense to pull all three free reports at the same time and correct all the errors at the same time. In reviewing your most current report you should be looking at all accounts listed that are still open. If there are credit cards or credit accounts that you no longer have but are still shown as open then you need to check that the accounts were indeed closed and if closed have your credit report updated to note that those accounts are closed. If you have credit cards with small credit limits that are open but you don’t use them anymore then now would be a good time to call the credit card companies up and have those accounts closed. Having too many open credit accounts could be seen as a risk by lenders and that can affect your credit score negatively. On the other hand if you have only a few credit cards with low to no balances cancelling those cards can have a negative impact on your credit rating as well. The credit scoring systems take account of how much credit you have access to in comparison to how much you have borrowed. So if you cancel a credit card with a large credit limit and maintain a balance on some other cards this can have a negative effect on your credit score since now the amount of debt you have in relation to your available credit has gone up since you closed an account. 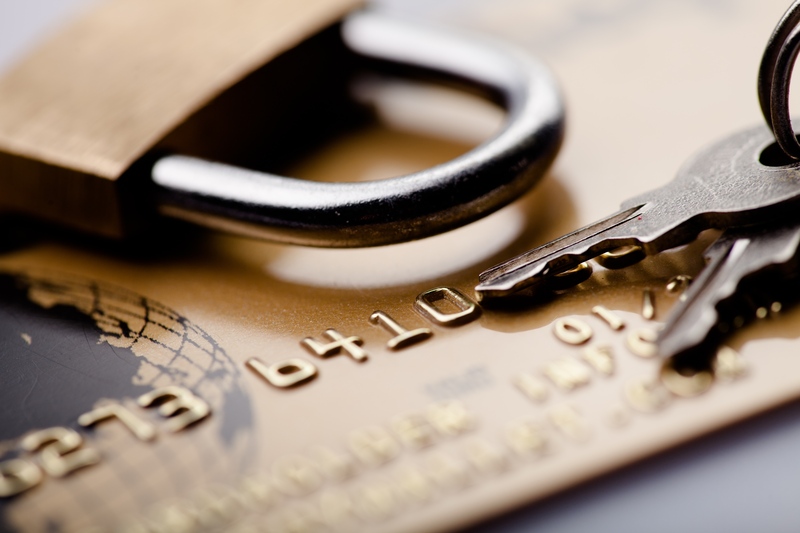 If in doubt always talk with a credit counselor about how closing of certain accounts may affect your score. Many mortgage lenders have relationships with or have on their staff credit experts who can guide you on how to readjust your credit balances and accounts so as to have a positive effect on your credit score. valid then the credit reporting agency will remove those from your credit report. If on the other hand you are the victim of identity theft and those credit items were put onto your report due to a identity thief using your identity the process of getting those items removed is much harder. For more information on dealing with identity theft and credit report issues be sure to visit the FTC.gov website dealing with identity theft. Ideally between the time you close on your home to at least six months prior it is best if you do not apply for any credit unless absolutely necessary. You should not open any new credit card accounts, open any store credit accounts or take out a loan to purchase a vehicle as all those recent inquiries on your credit report and any newly opened credit accounts can downgrade your credit score resulting in you having to pay more mortgage interest, being approved for a lower amount than you need, or you could be completely denied a mortgage loan to buy a home. If an emergency comes up and you need to borrow money to buy a car or to cover some unexpected expenses then it is best to limit the amount you borrow and limit the different lenders you ask for a loan. Multiple inquires on your credit report done for the purposes of granting you credit can result in an immediate loss of points on your credit score. By waiting some additional time after you have applied for a loan your score can rise, this is assuming no additional credit inquiries are made for other credit applications until it comes time for the mortgage loan credit application. Having large amounts of debt in relation to the amount of credit you have available on your credit cards and other credit accounts will reduce your credit score. The credit scoring methods look at debt utilization as part of their scoring factors. For example if you have a credit card with a $5,000.00 credit limit and have a balance on that card of $4,500.00 that reflects a usage of 90% of your credit on that card. A 90% credit usage on a single card may not be bad news, whereas a 90% usage on all your credit lines is very bad news in the eyes of your credit score and if you were to have such a high utilization your chances of getting any further credit in the form of a mortgage loan is very low. The credit score looks at your credit usage across all your lines of credit. There is no hard and fast rule as to below what number credit utilization you should keep at. Some experts suggest a credit utilization of 1-25% in order to give the credit rating agencies something to look at and rate you buy. As your credit utilization starts reaching and/or exceeding 45-50% then certain forms of credit and certain lenders will be less willing/able to lend you money whether for a home or for some other borrowing need. 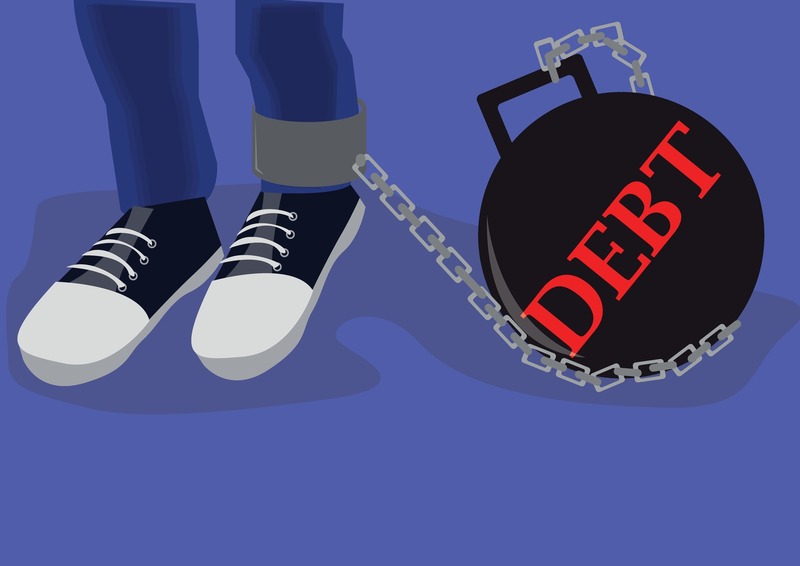 By paying off your debts so your credit utilization is below 40% you have a better chance of qualifying for a mortgage loan and for getting approved for an amount that can let you buy a decent home. By borrowing what you can afford to payback based on all your other existing bills you can prevent yourself from getting into a house poor situation that could cause much further hardship in the future. Payment history can account for up to 35% of your credit score. One late payment can drop your score very quickly especially when you have a high credit score. So don’t miss payments. It is better to pay the minimum amounts required on all your credit accounts. While paying down the minimum will not necessarily help you pay down your debts, missing payments does much worse damage to your credit score than having high balances on your credit lines. Not only do missed payments hurt your credit score but that can cause your interest rates to jump on certain accounts and you can be faced with hefty late fees that further add up. By always paying on time and always paying at least the minimum your credit score will recover as your debt utilization comes down. Your credit score is within your control and by keeping a high credit score you will pay less over time in interest which is a big money saver. 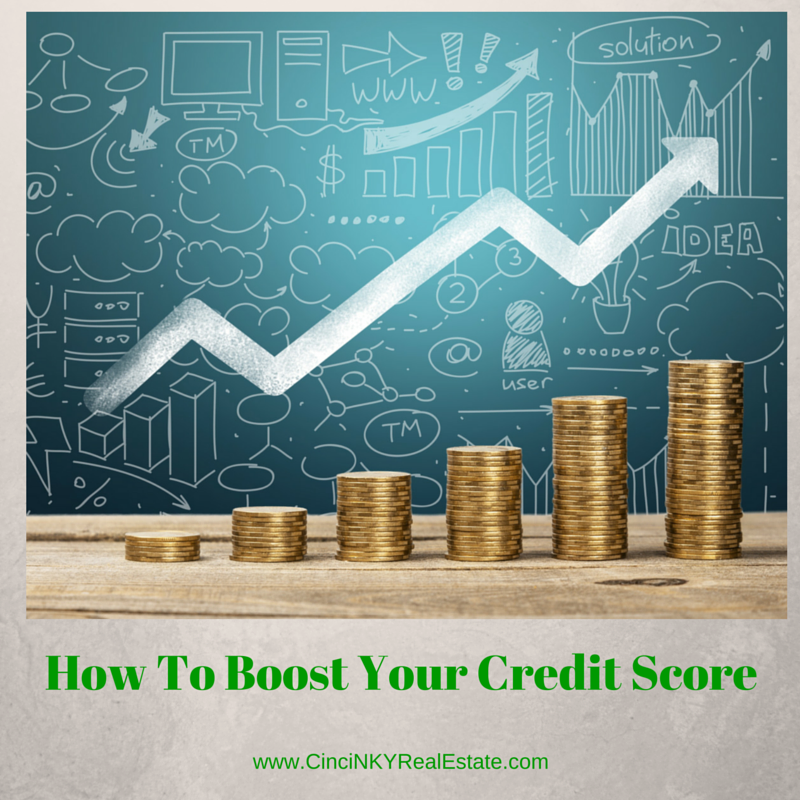 By working on paying down debts, paying on time and dealing with errors on your credit report you will be boosting your credit score. When the time comes to apply for a mortgage loan a high credit score will save you money in the long run. About the author: The above article “How To Boost Your Credit Score Prior To Applying For A Mortgage Loan” was provided by Paul Sian. Paul can be reached at paul@CinciNKYRealEstate.com or by phone at 513-560-8002. With over 10+ years experience, if you’re thinking of selling or buying, I would love to share my marketing knowledge and expertise.